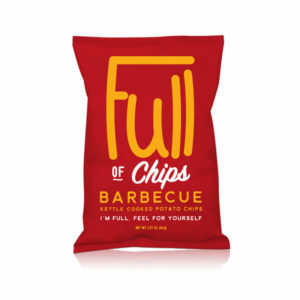 Why be full of Chips? 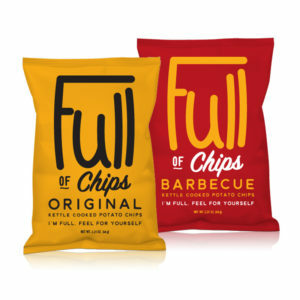 Full of Chips is going to provide customers with a full bag of premium quality kettle chips. We take our bags, and stuff the bags as full as we can. 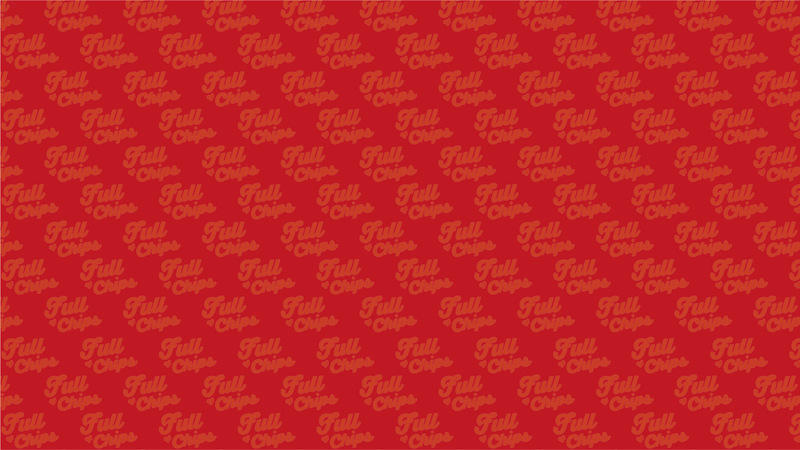 If you want more chips in the bag, then this is it. 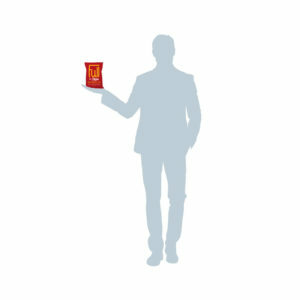 We are partnering with people who share our values of providing high quality product without wasting package space. 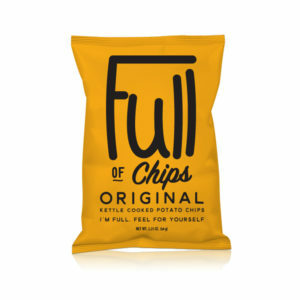 So when you see our kettle chips on the shelf, you will know exactly what you are getting! 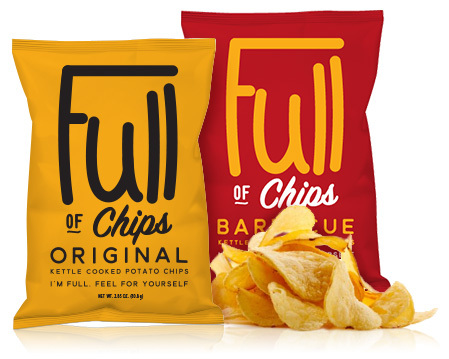 Full of Chips was conceived by three friends, with very different backgrounds, who got together to fill the bag FULL. We wondered can we fill the bag to capacity? 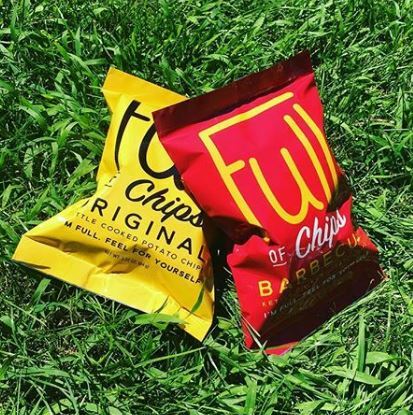 It was decided that we should change the status quo by being the FIRST to offer a full bag of chips, named appropriately FULL OF CHIPS, so that our mission cannot be mistaken or changed. We started to experiment; we used a 1.25oz bag and found that we could fit 2-3 times the chips in that bag, or around 3oz! A realization occurred perhaps other people like us, would like to be able to buy this. The next step in our journey was to discover the best kettle chips and figure out how to fill the bag completely FULL, which we accomplished. 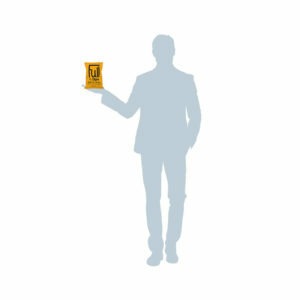 We believe this is a very sustainable product, as we don’t waste any packaging materials. Error: Error validating access token: Session has expired on Sunday, 17-Mar-19 15:24:01 PDT. The current time is Wednesday, 24-Apr-19 16:48:28 PDT.